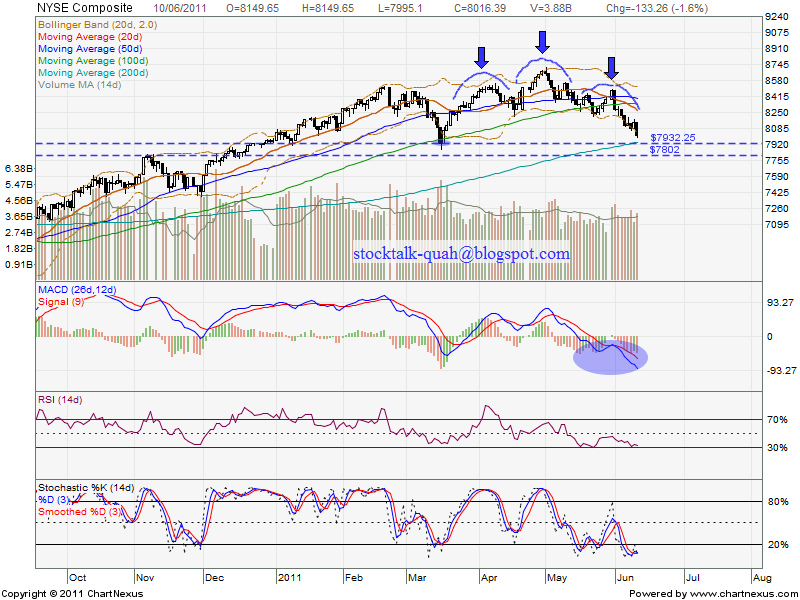 Since Sept 2010, Down Jones & NYSE break up MA200, it never retrace down to retest this level. 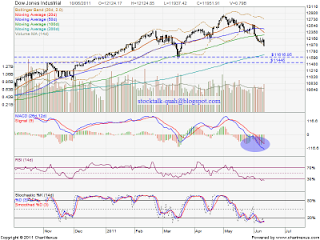 It do alway trade above MACD positive region. So, we may see a 8 months bull run. This round, it already break below MA100 support level. As 10 June 2011, no reversal sign been formed. Will it future break down MA200 support level? 2. 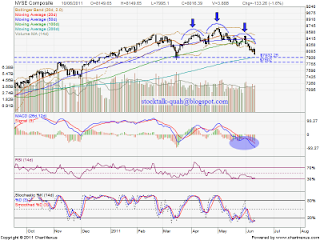 MACD trade at negative region, it is a downtrend sign. 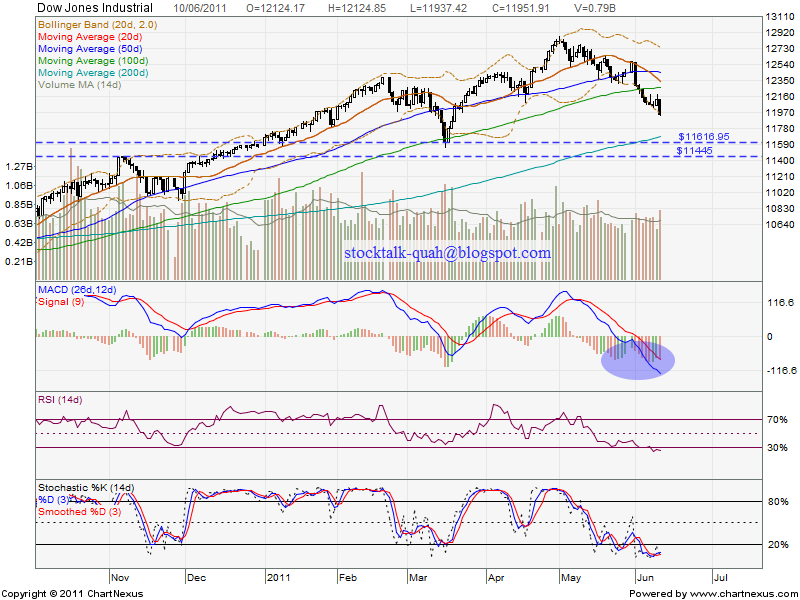 However, there should be a technical rebound soon.